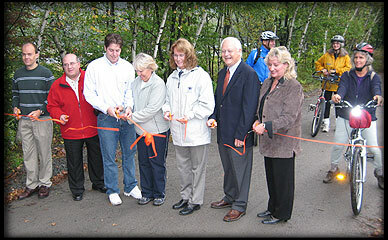 On Saturday, September 23, 2006, the Rail-Trail Council held a ribbon cutting on the D&H Trail at the Forest City trailhead. Forest City Councilman, Forest City Mayor Nicholas Cost, State Representative Jim Wansacz, Rail-Trail Project Manager Lynn Conrad, State Representative Sandra J. Major, Congressman Don Sherwood, and Susquehanna County Commissioner Roberta Kelly. 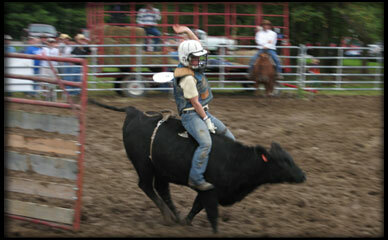 Click the image above for photos from Chets Place 15th Annual Frontier Days Celebration.